Remember when Pagani announced it would stop building Zondas in 2013? So do we. But four years later the small Italian supercar company just keeps churning them out due to high demand. This latest one though, the Fantasma Evo, isn’t a new Zonda at all. The car is actually chassis number 53, built in 2005 and upgraded to modern spec. And it looks seriously cool. 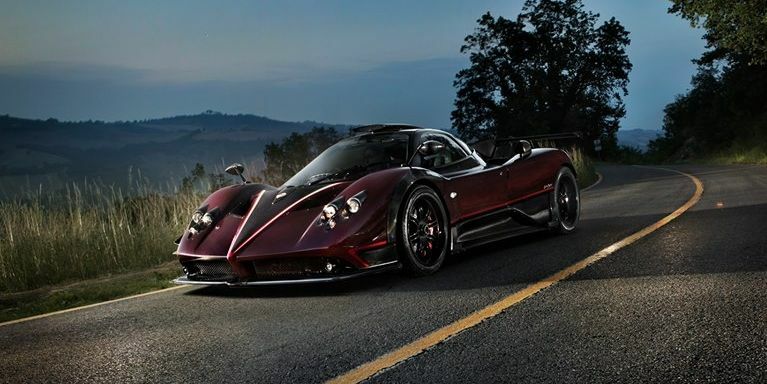 According to Motor1, Zonda number 53 was involved in a crash in early 2012, and was sent back to the Pagani factory to be repaired and upgraded to 760 spec. The car received some carbon-fiber body panels, better aero, and more power from its legendary AMG-sourced 7.3-liter V12. At this point, it was renamed the 760 SH (after the power output and owner’s initials), then later renamed the “Fantasma” (Italian for “ghost”). Five years later, the owner sent the Fantasma back to the factory yet again to be upgraded further to “Evo” spec, including a slew of undisclosed performance upgrades and—wait for it—a manual transmission conversion. That’s right, the sequential paddle-shift gearbox was swapped out for a good old-fashioned six-speed, just like Lewis Hamilton’s Zonda. The car is now covered in a stunning dark-cherry exposed carbon-fiber weave, and looks menacing. We hope the new owner enjoys driving it as much as we enjoy looking at it.